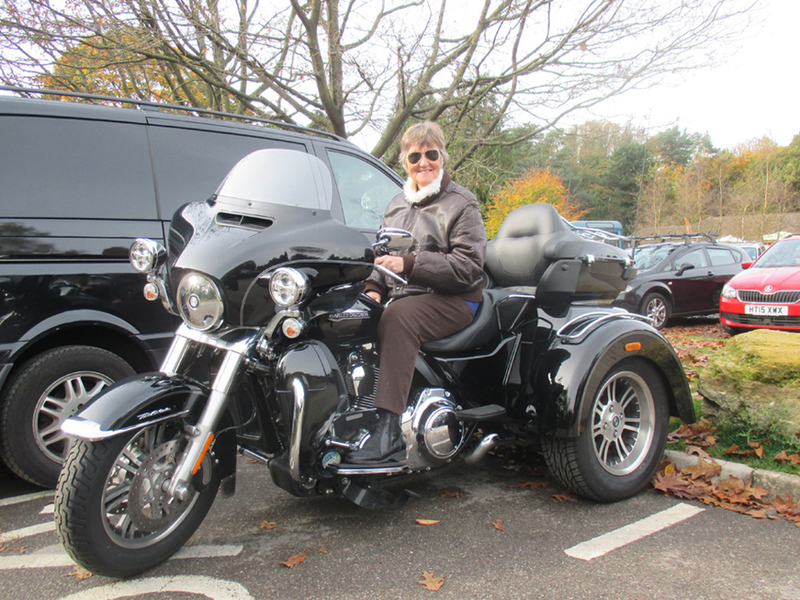 She had a bucket list of things to do for a special birthday, a ride on a harley was one of them. So via some of our sponsors, Hazel & Alan Williams we got to hear of this and arranged it so Diane could tick this one off her list. We took her for a nice jaunt down the country lanes to Hindhead, where she bought the tea & cake. Then had a blast up the A3 through the Hindhead tunnel ( where she nearly jumped out of her skin when one our friends Andy, who came with us on his harley, appeared alongside in the tunnel and opened up his throttle...he does have loud pipes....) then to home. Diane couldn't talk much as she was grinning all the way there & back, but we made sure she had a great time. Diane then donated to Bobtails for helping her out.